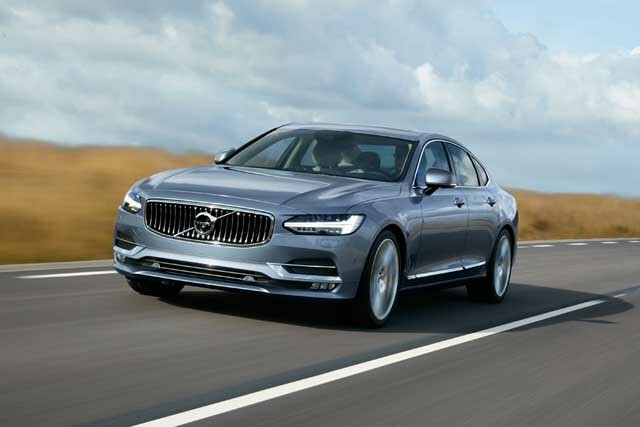 Volvo Auto India recently, announced the start of pre-bookings for the upcoming S90 in India. The new Volvo S90 as stated by the company is a completely new beginning for the company since the car embeds a totally new design philosophy which is based on the new Scalable Product Architecture (SPA) Technology. The new luxury sedan shares some of the design cues with the recently launched 7-seater luxury SUV the XC90. And the beautiful design language is not only a part of the exteriors but the interiors of the car are no less, and possess that upmarket luxury feel to it. "The S90 is one of the most awaited launch from Volvo’s portfolio this year. It’s got everything you would expect a luxurious sedan to have- the look, the feel and the design without any compromise on the comfort!" Other than the new XC90 and S90, the other offerings by the brand includes the Volvo S60, the S60 Cross Country, S80, V40, V40 Cross country and the XC60 which are marketed through its dealerships in South Delhi, West Delhi, Gurgaon, Ahmedabad, Surat, Mumbai, Chandigarh, Coimbatore, Hyderabad, Chennai, Bangalore, Kochi, Vishakhapatnam, Vijayawada and Kolkata, expanding further to Indore, Lucknow and Jaipur through the year 2016.